You might notice by comparing to the 3.24 release video that I’ve been considerably less active on this cycle’s video. The biggest factor playing into this is that I have moved to Brisbane, Australia where I will be staying for the next few months (it’s lovely btw!) with less time to contribute. Secondly the time span between GUADEC and release has been considerably shorter which has pressured this cycle’s release material a bit. An unfortunate consequence of this is that translators have very little time to translate the video. 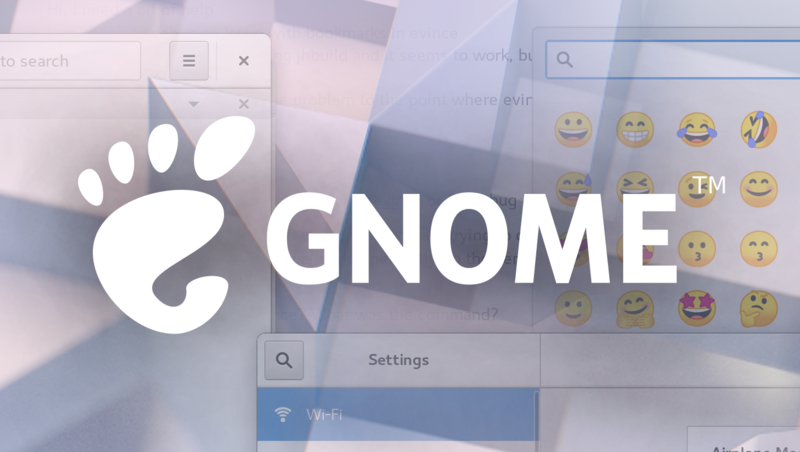 The GNOME 3.26 Release video in Blender’s VSE. To make the video efficiently I have skipped much content in the animation step. 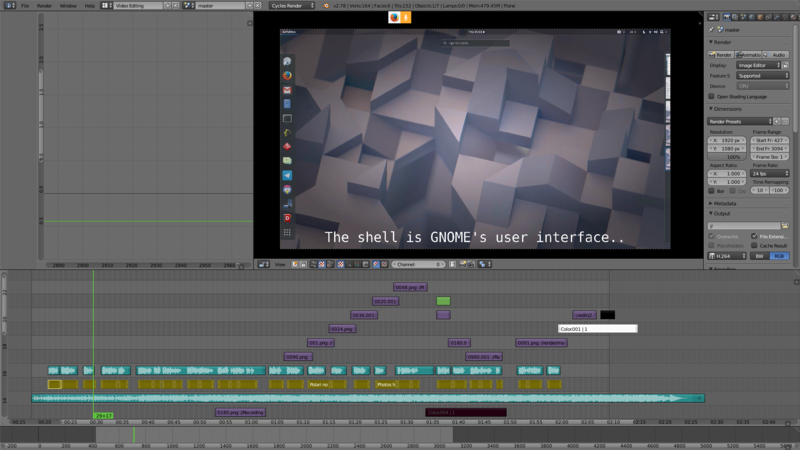 The manuscript has been tailored to only concern the screencasts which has meant that I could focus my time editing everything together in the Video Sequence Editor. This limits what I can do creatively, but I also learned that for some aspects of the video, simple is better too. I was initially working with Simon on music, but he unfortunately found himself ill prior to the release so we have this time used a nice soundtrack from the Youtube Audio Library. My plan for next time is to start earlier and try to get a collaboration going with developers about screencasting as soon as new features land. Having fellow contributors helping me screencast really saves me a lot of energy and time – which I in turn can put into making a better release video. Acting earlier should hopefully give me a better opportunity to write the manuscript and send it off to Karen for voice-over production, so we can have timing in place as early as possible. This should give me and Simon better room to closely collaborate on audio and visuals and have the video translated in as many languages as possible before release.